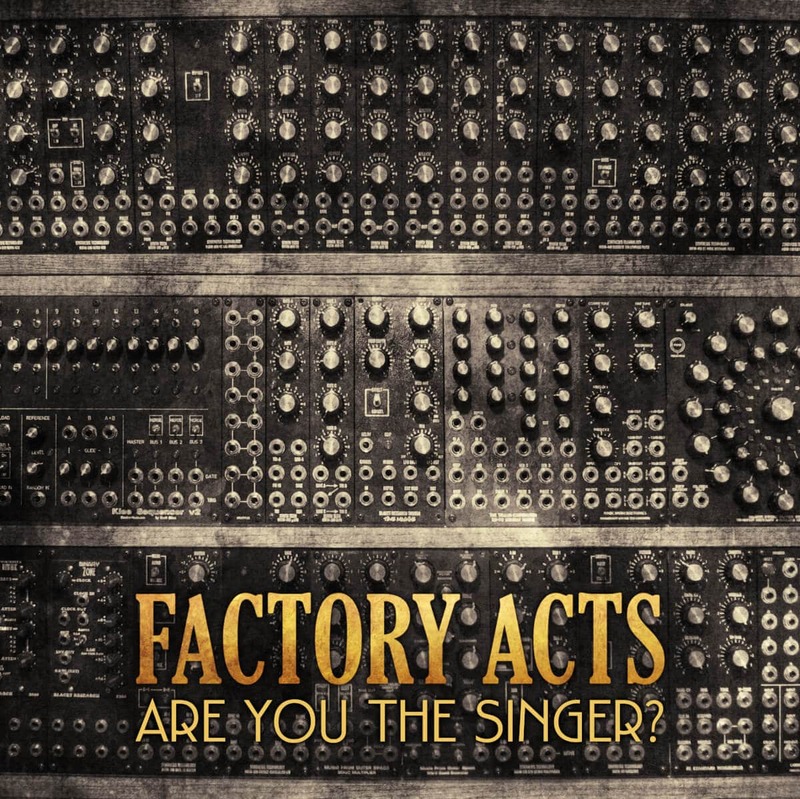 Factory Acts – Are You the Singer? With their bracing and genre-busting take on post-punk and electronica, Anglo-Irish act Factory Acts marry Lancashire grit and gumption with Corkonian flair and fire to create a unique musical vision that had its live debut at the legendary Salford Lads Club. The spiky duo – SoS (aka Susan O’Shea) on vocals, synths and analogue digital devices, and Matt Davies on bass, beats and magic mixes – add an experimental side to their wonderful melange of influences on their new single, Are You the Singer? With classic 808 epoch defining sounds in the nexus of rhythms and basslines where Detroit gay clubs met the back-street bacchanal of Manchester, the track is given a sprinkling of feminist finesse, an attitude reminiscent of The Slits and the raw, repetitive beats of 20 Jazz Funk Greats era Throbbing Gristle. With its cutups and spoken word samples of phrases and statements that female musicians have had to endure since the day Sister Rosetta Tharpe picked up a guitar – and probably before – Are You the Singer? takes a righteous and rightful source of female anger from the streets to the dancefloor in blistering fashion. Are You the Singer? was premiered live at the Manchester Meltdown Festival on 23 June 2018, organised by the legendary Ian ‘Moet’ Moss (Hamsters, Kill Pretty, Four Candles). Are You the Singer? is released on the 13th of October across all good digital download and streaming services, with an extremely limited cassette edition being made available for International Cassette Store Day 2018.